These caplets contain paracetamol and are used to treat mild to moderate pain including headache, migraine, neuralgia, toothache, sore throat, period pain, flu, fever, aches & pains including muscle pains, back ache and rheumatic aches & pains. 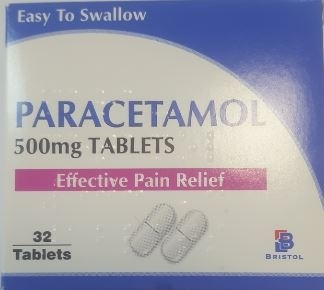 Each caplet contains 500mg paracetamol. Suitable for adults and children 6 years and over. Brand and packaging may vary from the picture shown.